Any great piece of art, whether it be a painting, song, book, poem, movie, or T.V. show has to do one thing to its captive audience – make you feel something. Whether that’s sadness, joy, confusion – anything that can make you feel something achieves the artist’s goal. Luckily, the series finale of Star Wars Rebels made me feel all of these emotions. Sadness that our heroes’ stories are ending (or are they? ), and the characters we lost along the way. Joy that even though this is the end for one story, it’s the beginning of another, and they were able to successfully complete their mission. 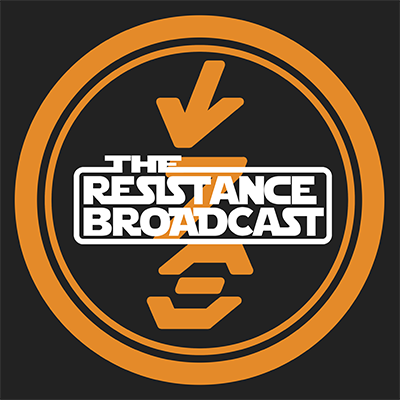 And finally confusion, for what the hell I just witnessed and what it all means for the future of the Star Wars universe. The episode aired a couple of hours ago, and I’m still not entirely sure what I just saw, but I know one thing for sure, I loved the ride. From the get-go, I knew I was in for a doozy of an episode. Watching Hera get the band back together one more time to liberate Lothal made me more emotional than I had anticipated. 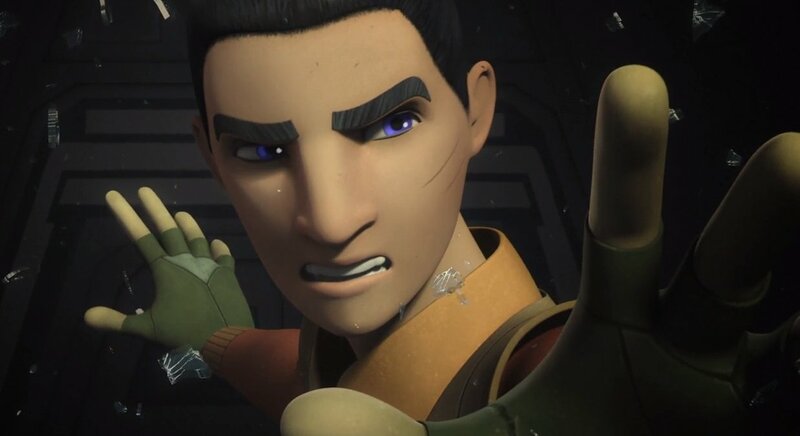 Hondo, who’s known for being a wise-cracking pirate looking at everyone and saying “For that boy, there is nothing I wouldn’t do” was a surprise and touching to me and served as the perfect tone-setter for the finale. Like I said before, it made me feel something. 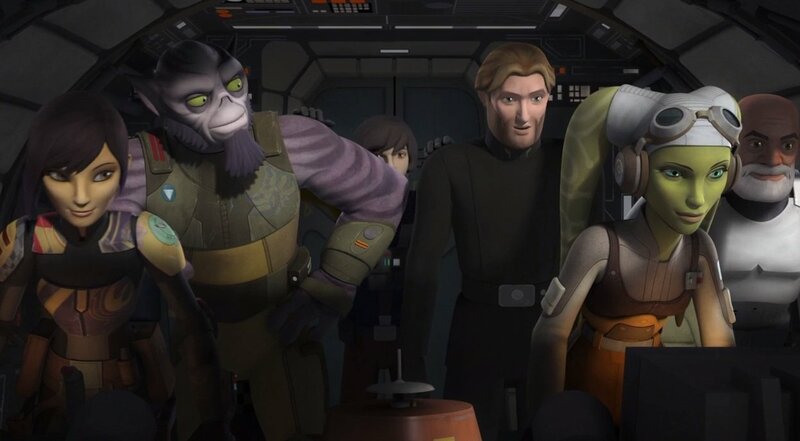 Seeing the Rebels’ plan come to life and eventually come together after some setbacks left a smile on my face the entire time. Ezra in particular was a real standout to me, which is to be expected, as it’s his story. There was a certain sense of calm and maturity to him that shone through, no doubt influences from his master, who while gone, is still very much with him. Speaking to his parents in the Ghost turret was a great emotional moment and really put why he joined the fight, and continued to this moment, into perspective. 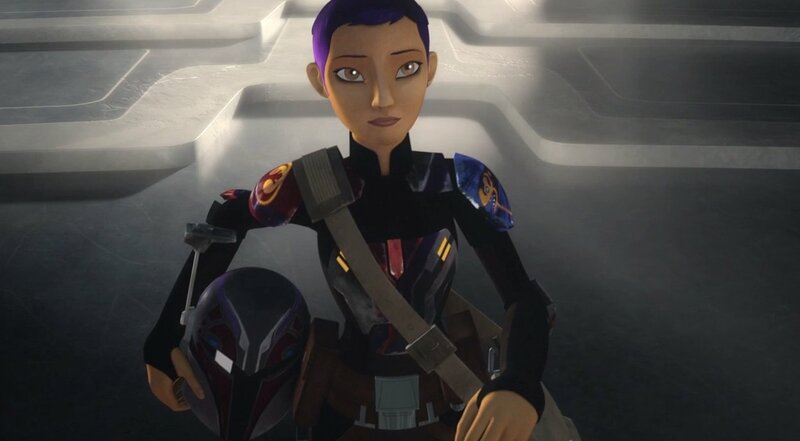 Sabine also stood out in this final episode. The bond she and Ezra share has been a joy to see grow and eventually reach its culmination in this episode. They are no longer just following whatever Kanan and Hera tell them to do, they are leading the missions and forming plans. In the end, it’s that trust in each other that saves Lothal. The episode had a lot of great action but it didn’t move at a breakneck pace like I was expecting. However, the little breaks in action were necessary, and I think these moments led to essential setups that called back some iconic moments in Rebels history. A couple weeks ago, I complained about the point of the Loth-wolves and how confusing they were. 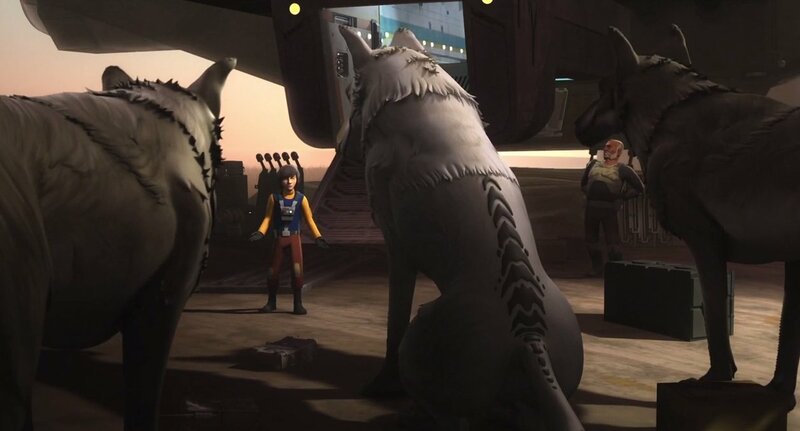 I completely take it back, because seeing giant wolves take out incompetent Stormtroopers and seeing Rukh and Pryce legitimately scared for their lives was payback for them torturing Hera a while ago. A truly satisfying moment that paid off weeks of build-up. 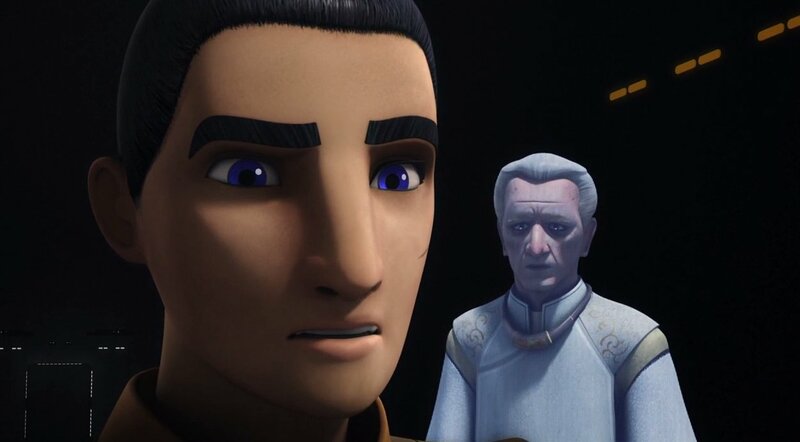 Speaking of the villains, the trio of Pryce, Rukh, and Thrawn had their ups and downs but two of the three were incredibly menacing and did a great job of backing Ezra and crew into a corner. 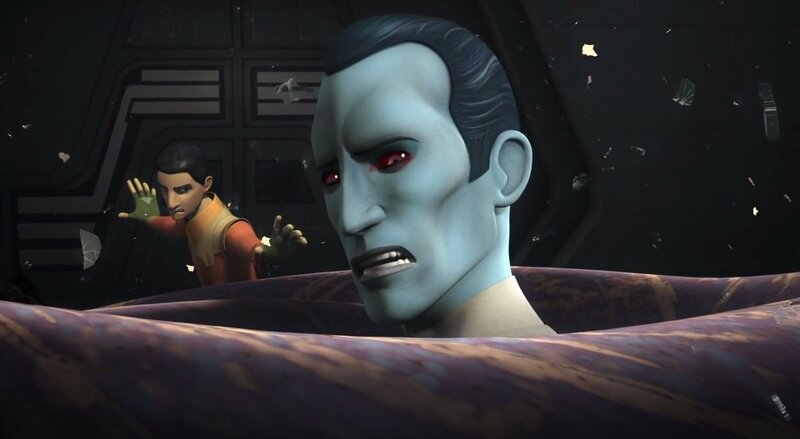 Thrawn in particular lived up to his Legends hype, and his brutal bombardment of the city was a scary moment because you knew he would really destroy the city if it meant breaking Ezra and accomplishing his goal. His methodical approach has always made him a scary and effective villain. I can already picture the complaints on Twitter, so lets talk about those space whales. Wow. 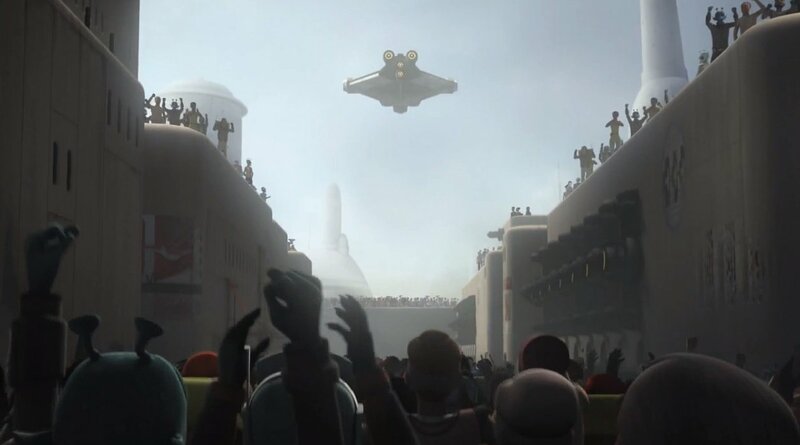 Dave Filoni and crew took what many saw as a punchline and turned it into Lothal’s ultimate savior. Say what you will about the “filler” episodes, but that is an impressive connection to the early seasons that pays off in the end to me. Space Whale Ex Machina! I don’t know why, but like last week when I got Indiana Jones vibes, this week I saw flashes of Lord of the Rings. 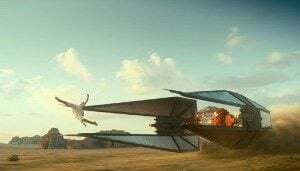 I mean the space whales are basically the eagles and a certain character at the end with the white cloak reminded me of Gandalf, staff and all. As a huge fan of Middle-Earth I really appreciate little nods like these that bring two of my favorite franchises together. Before we talk about the ending and what it means for the future of Star Wars, I have to mention Sheev. Ian McDiarmid didn’t really get a chance to fully shine in last week’s episodes, but damn, he stepped back into the role without missing a beat. We didn’t get the Emperor, we got Sheev, and I loved the familiarity to the vocal tone he used to manipulate Anakin. He almost made Ezra open the door and you could see why Ezra would be tempted. It’s his ultimate test, the one thing he wants most in the world, his parents back. Had Ezra opened it, you would have understood why as a viewer. McDiarmid voiced the role perfectly, and I wish he could do more work as Palpatine again. Ok – the ending – I have a lot of thoughts on it. It was as perfect as it could be with it still making sense. Raise your hand if you thought everyone was going to die. I did. I thought this was going to be a Rogue One situation where it just wouldn’t make sense if they survived and didn’t have a role in the Rebellion in the films. Leave it to Filoni to get around it. Ezra is without a doubt still alive. “I can’t wait to come home.”, come on! There is no way he isn’t alive! 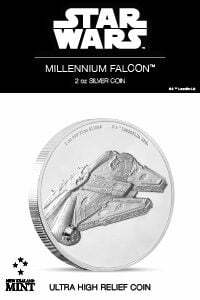 On the other side of the coin, Thrawn is probably still alive as well, which leads to a lot of really exciting possibilities for the future. Lothal was saved, Ezra and Thrawn are gone, Hera has a kid, the Empire never came back to Lothal, Lothal has prospered, and most importantly, Ahsoka lives! After missing the entire episode she shows up right at the very end, and of all the things that this episode opens up, her inclusion gets me the most excited. 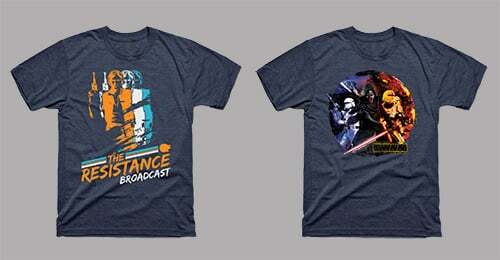 We could have an Ahsoka and Luke Skywalker meeting! I don’t care what kind of Star Wars fan you are, that is an incredibly cool prospect and one that absolutely needs to be explored. The series finale was everything I wanted it to be and everything I didn’t know I wanted it to be. It ended one of my favorite series in a satisfying way, while also setting up brand new stories with these same characters. The Force was truly with us. Before I leave you guys, I wanna end with a little speculation and a thank you. 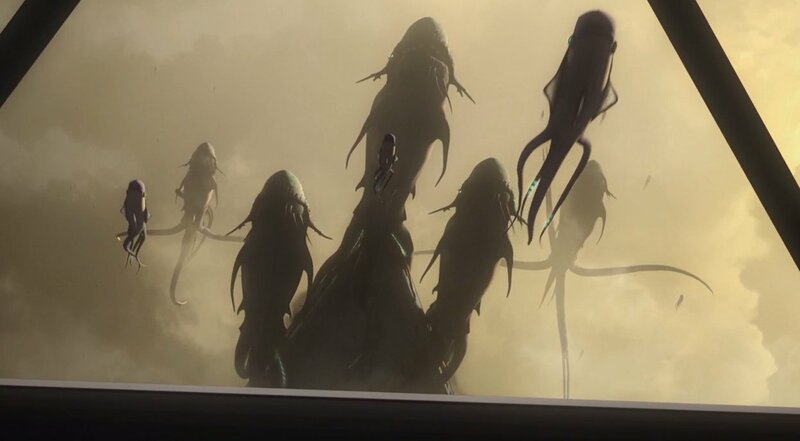 First of all this new series that will undoubtedly come next will be the search for Ezra, and will take them into the Unknown Regions, and I have a feeling there will be a lot of Legends inspiration put into it. This is just my opinion/speculation as it just makes sense to me. Finally, it has been a true honor to write these reviews for you guys about a show I’m so passionate about. Thank you so much for reading and may the Force be with all of you…always. 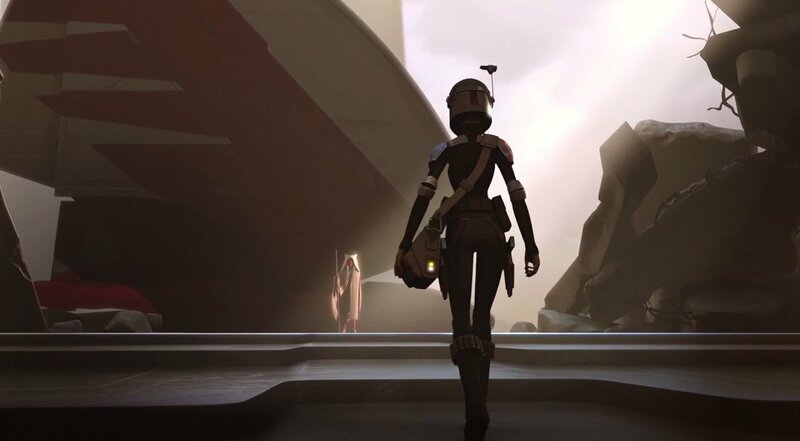 Also, be sure to check out the last episode of Rebels Recon before you go! 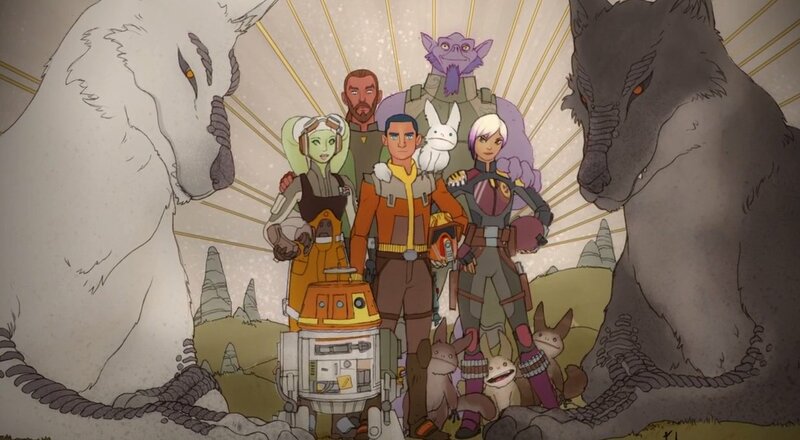 And a warm farewell to Dave Filoni and everyone involved with Star Wars Rebels. I can’t wait to hear more details about their next project!